Available in 2 sizes, 11.5 inch and 12 inches high. 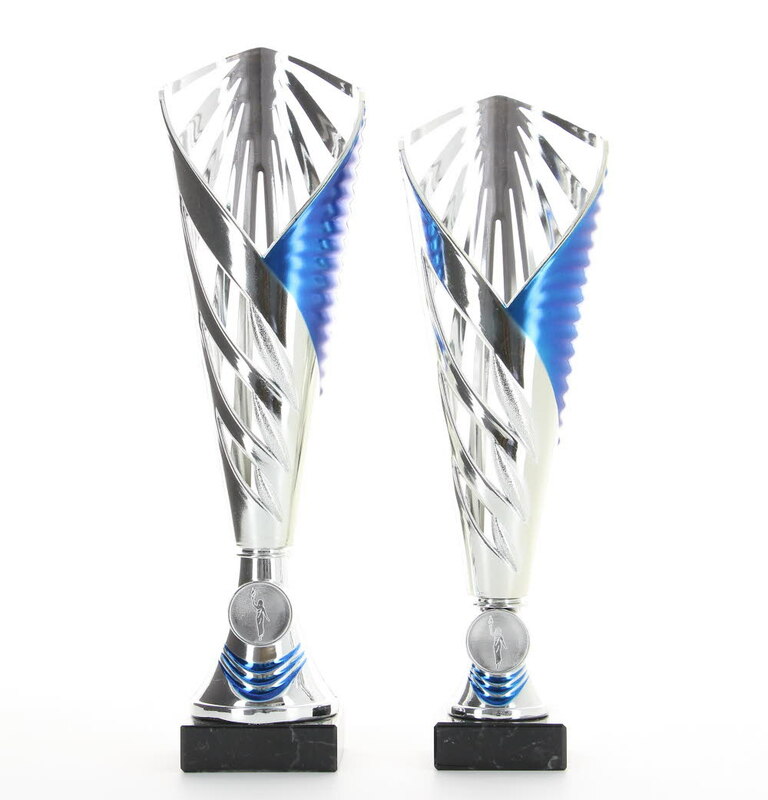 A silver and blue plastic cup with cut outs, with a silver/blue riser mounted onto a black marble base. A perfect modern award for all sports and events. Free engraved plate included and standard 1 inch centre. Customised centres available at an additional charge, please ensure you select this option from the centres drop down list.